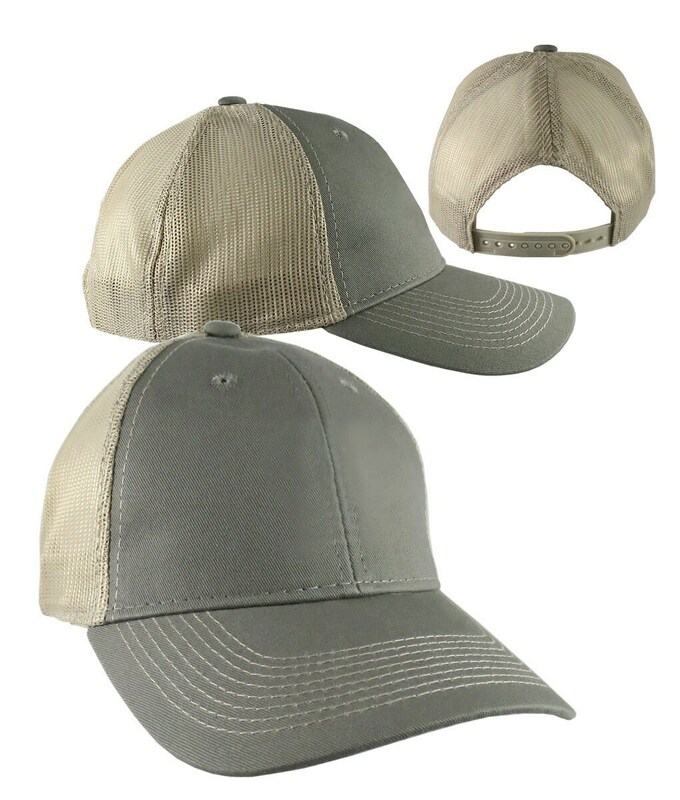 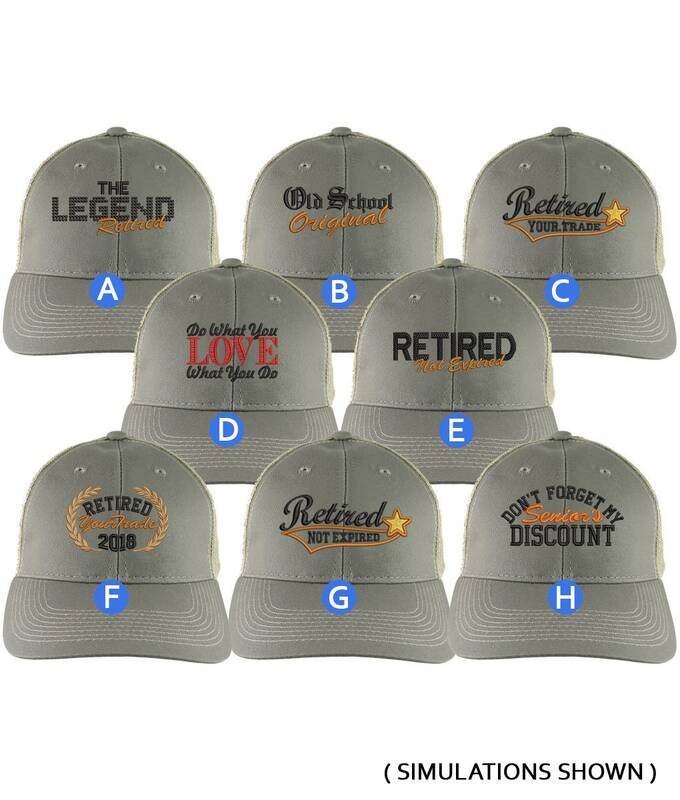 The perfect gift for a retirement party or to complete one's trucker caps collection. 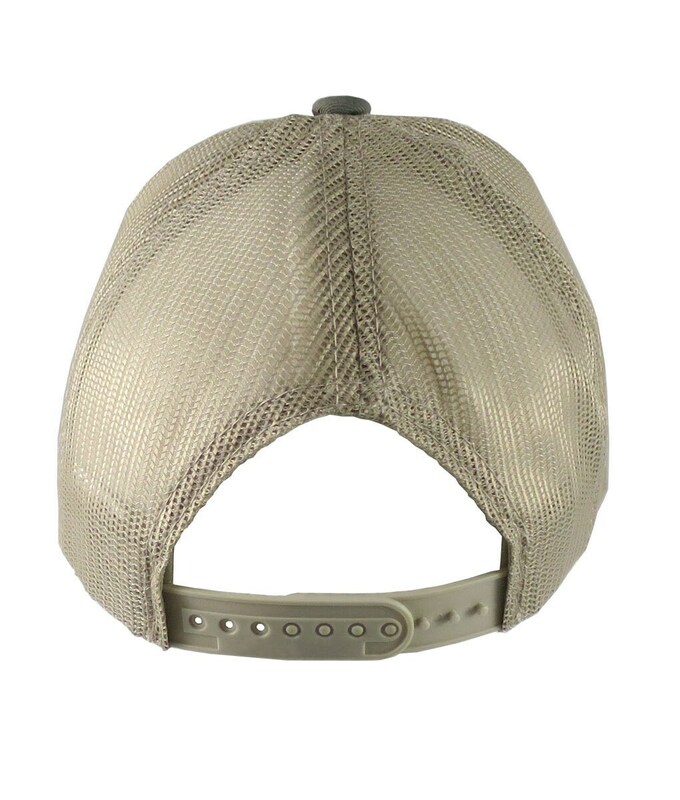 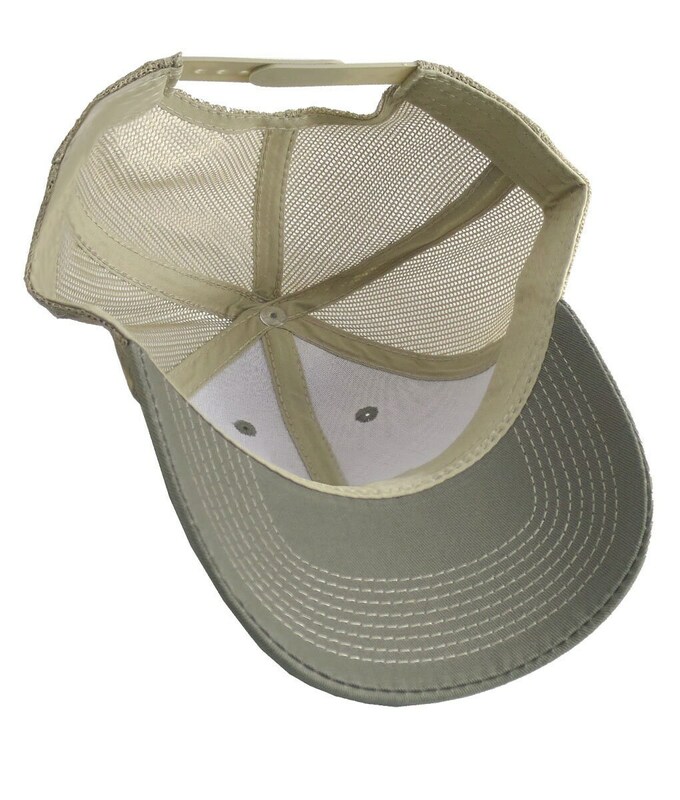 A custom embroidered olive green on tan full fit classic snap back trucker cap you can wear or share on any occasions. 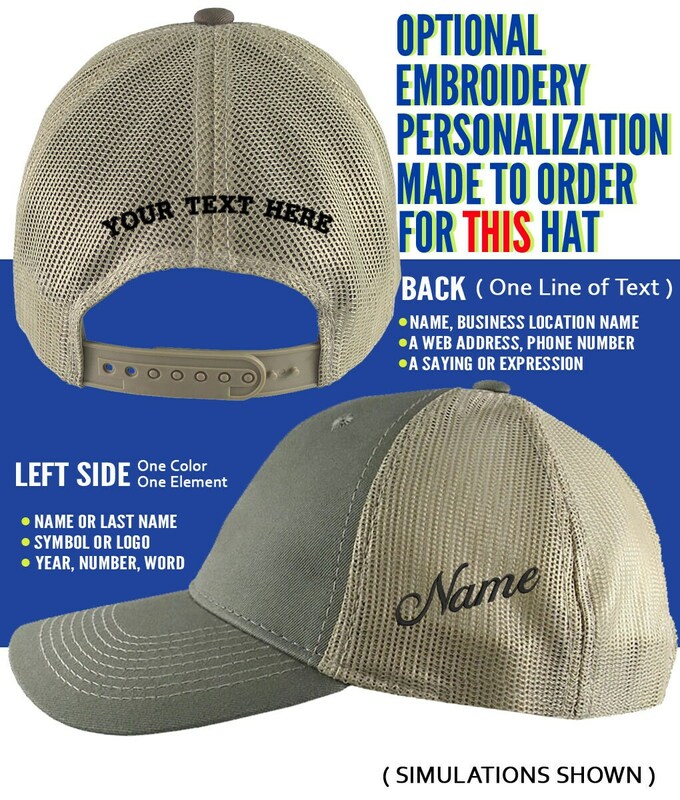 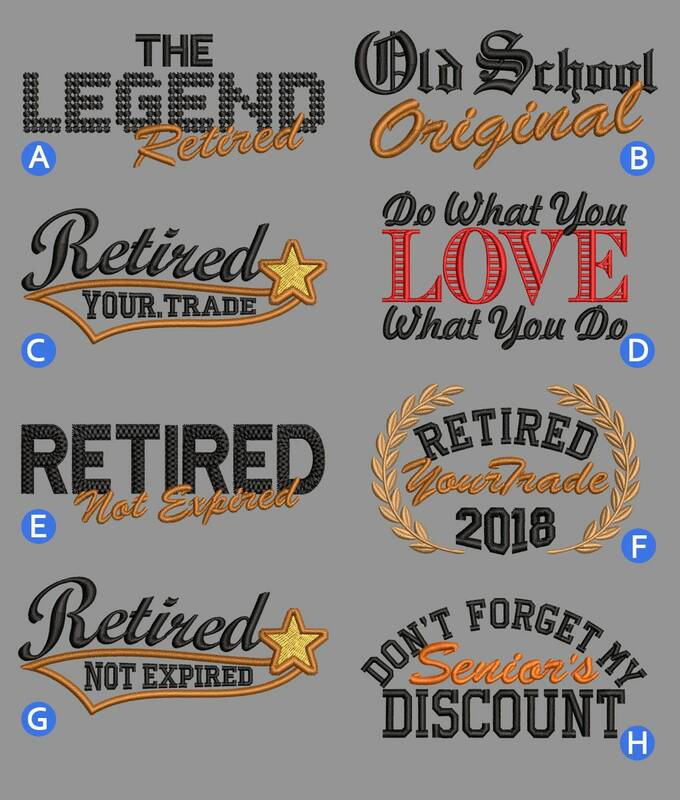 8 embroidery designs to choose from; some of which are personalizable with your trade name and or year.